How do you treat a stress fracture? | Podiatry Associates, P.C. Stress fracture treatment is fairly simple, but it does take time. Overuse and pressure caused the problem, so completely resting the foot will heal it. You’ll need to take a break from all hard-impact activities to give your foot time to recover. 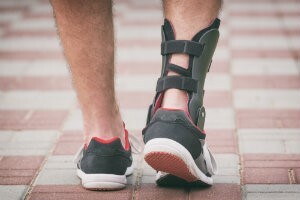 In some cases, you might need to wear a splint, special boot, or walking cast to help alleviate the pressure on the affected bones. Ice the painful spot to reduce swelling and inflammation so the tissues can repair themselves, too. Once the bones are mostly mended, you’ll be able to put more weight and pressure on the foot. At this point, you’ll begin to rehabilitate the foot to handle the stress of your normal activities. This will mean slowly getting back into your regular routines and building up to the intensity and duration you were used to before your injury. Moving slowly conditions your foot so you’re less likely to develop a stress fracture again. Let Podiatry Associates, P.C. help you treat cracked bones in your feet. Call (303) 805-5156 to reach our Parker and Castle Pines, CO, offices for an appointment.